Please provide as much detail as possible about the insects (what they are, how often you see them leaving/entering the nest), the nest size (for example, size of a basketball), the nest’s location (for example, in the ground, in a tree, on the side of the house, etc.). If the nest is off the ground, please be specific about how high off the ground it is (for example, 5 feet off the ground in a tree). If possible, attach a photograph of the nest and/or insects to my smart phone at (865) 214-2979. Please tell us whether you have applied any sprays, gasoline, or chemicals to the nest and when this was done. Please also provide your street address so that we can locate your property and determine whether your property is located within our service area. A description of your house would be helpful. Please be patient for us to return your call, text, or email. We are a free service and receive a high volume of calls during the months of July, August, and September. 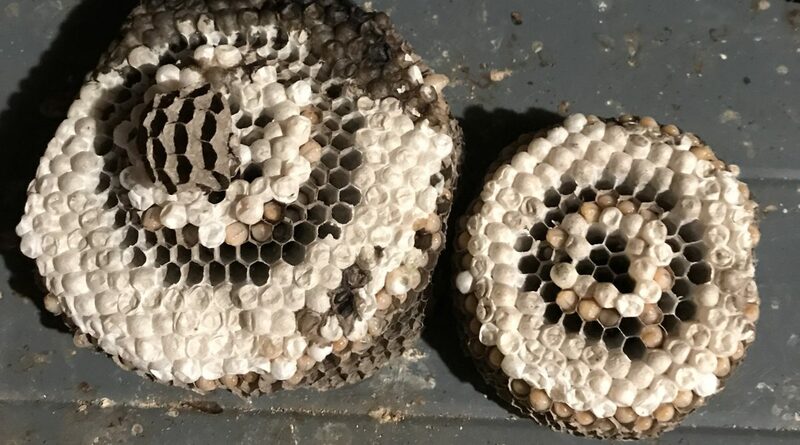 Provide FREE removal of live wasps, yellow jackets, and hornets in some areas of southern Ohio and northern Kentucky. . . No use of chemicals or sprays in our removal process . . . insect venom is sent to a laboratory where it is used for medical products and applications.